The Sabre Pepper gel with Flip Top delivery provides greater containment of spray prevents wind blowback and virtually eliminates the possibility of selfcontamination. 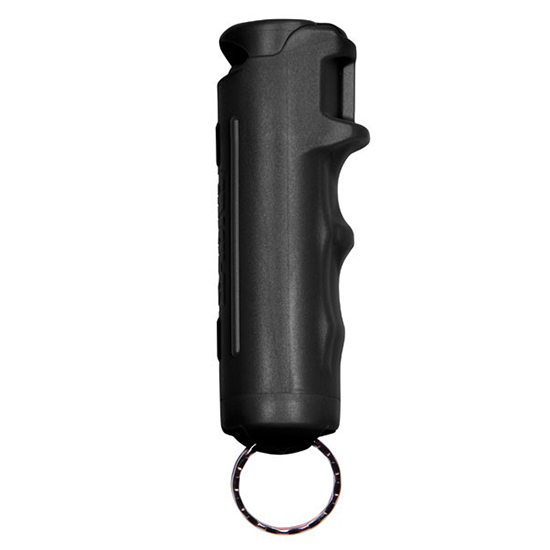 It has police strength maximum heat and provides a greater protection at a safe distance 25 bursts. This model comes in a hard plastic black case and is ideal for seniors.